New!!! 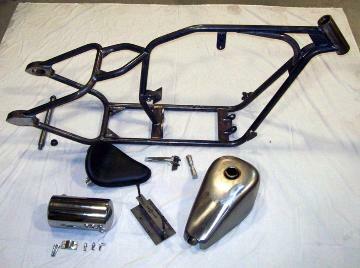 Now also available for Sportsters and Pre-XB Buells. conversion to a remote oil filter like most of our competitors! position (or, we will mount it for you for an upcharge). $100 more or mounted w/struts for $200 more. stock parts will bolt right up to our kit. 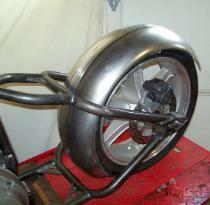 of any BEOSC Buell or Sportster style frame. 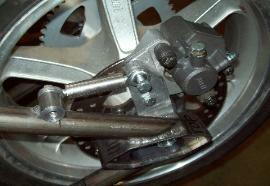 - Rear brake mounting kit. - Mounted BEOSC battery tray kit. 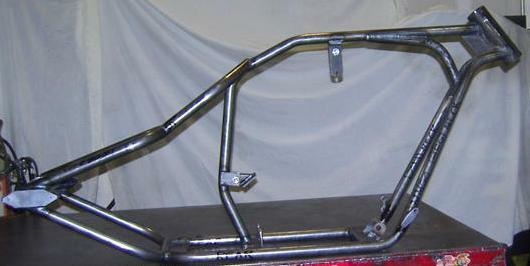 - Chrome oil tank with mounting brackets. 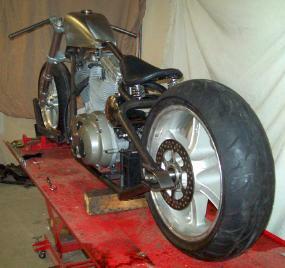 - 7" wide flat rear fender and fender brace with mounting tabs. - XL style chain tensioner. 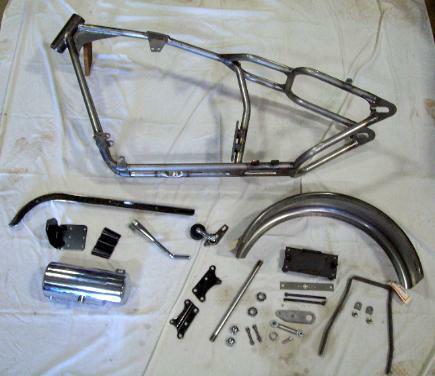 - Rear axle with fasteners and adjuster collar kit. - Weld-on hidden spring kickstand. 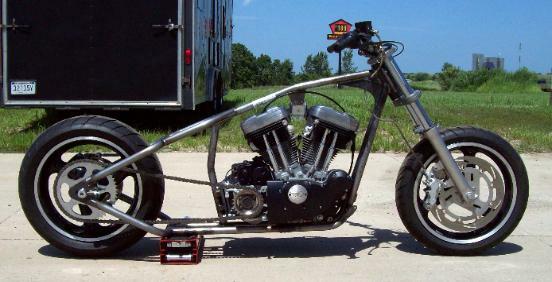 - Add a chain conversion kit (not shown) to this kit for $250. parts you don't want can be deducted from the price.